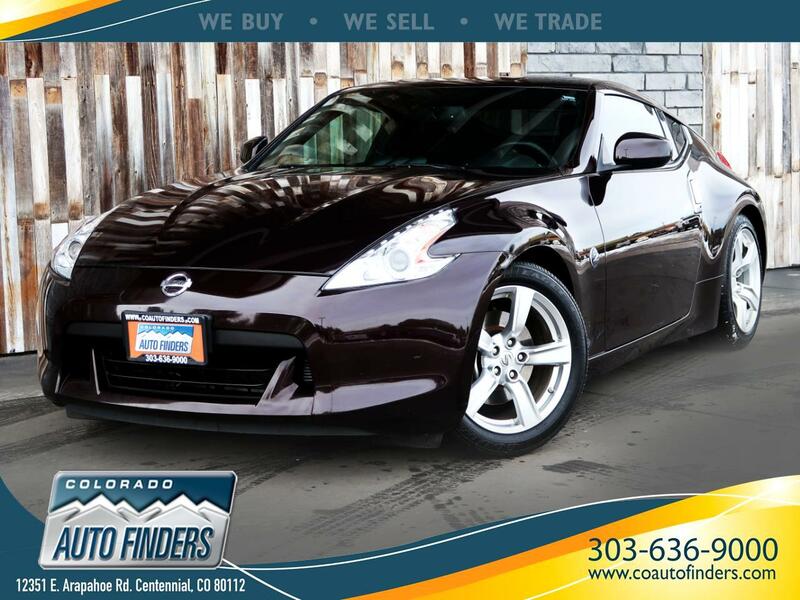 2010 Nissan 370Z for Sale in Centennial, CO. With quick acceleration, responsive steering, and a smooth ride, this 370Z coupe is the complete life of the party! Sporty to the max, you will LOVE every minute in this coupe. The 370Z features XM, FM/AM, CD, AUX, BOSE SPEAKERS, heated seats, cargo cover, and power locks, windows and seats. Message: Thought you might be interested in this 2010 Nissan 370Z.